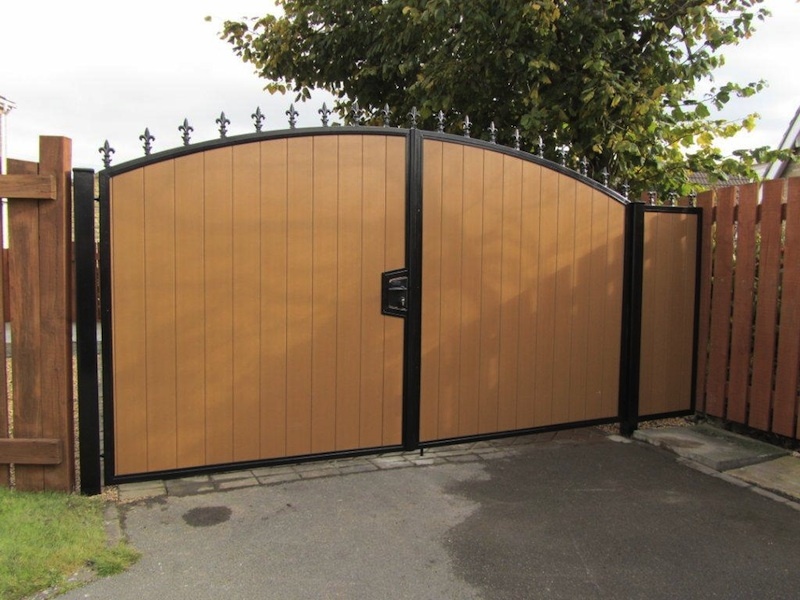 Our Gates do not rot, and last at least 5 times longer than treated wood offering 100% saving on maintenance and replacement costs. 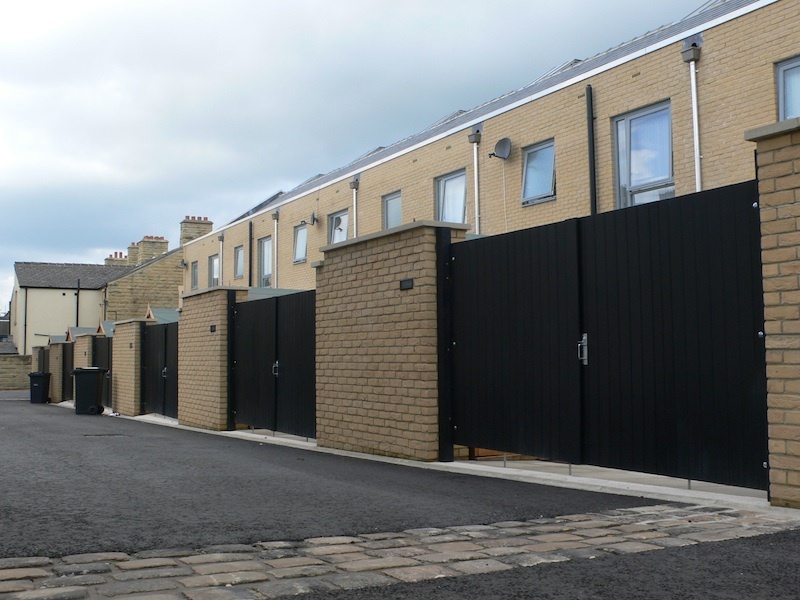 The future has arrived in the form of Maintenance-free Recycled Plastic Gates that are both recycled and recyclable. Now nothing need be wasted anymore. 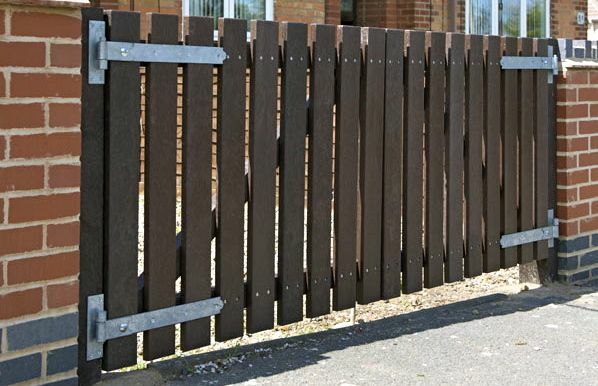 Kedel recycled plastic gates are made in two types of recycled material. 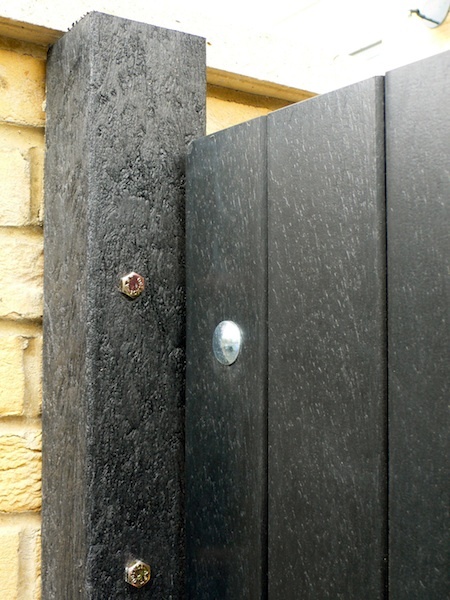 Recycled plastic wood, which is a dense version of blown, extruded polystyrene foam. 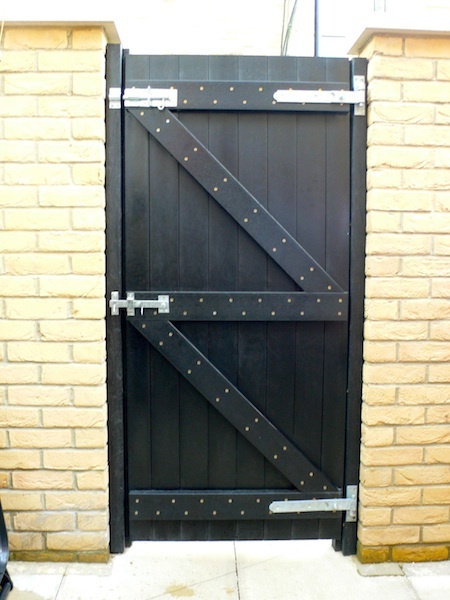 It has the same density and weight as some South American hard woods, and has even been mistaken for wood by some of our customers, as it has quite a close resemblance to the real thing. 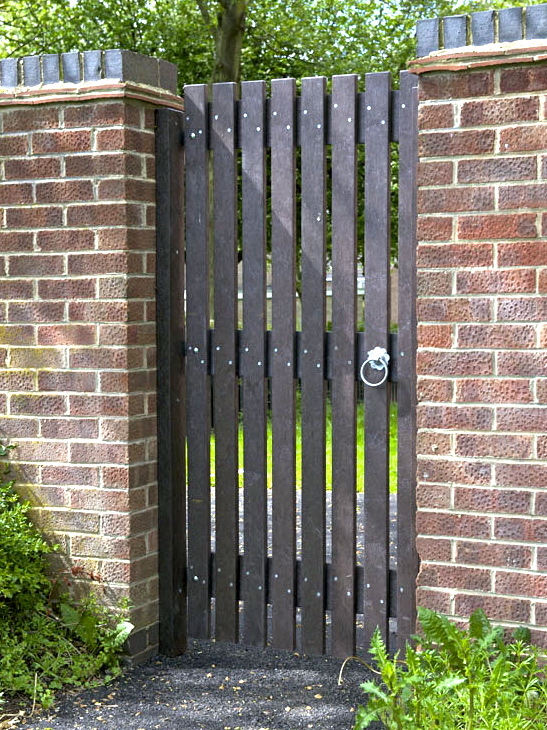 We use it both for gates and Fencing as well as Outdoor Garden Furniture. 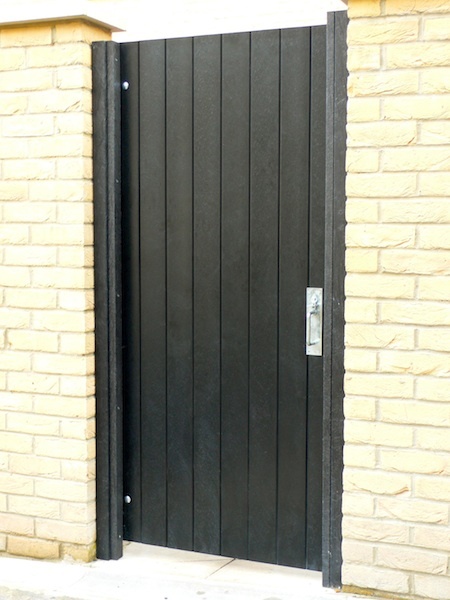 It can be made in any RAL colour and appear like any type of wood. The colour is all the way through and will never need paint or preservative as it will never rot. 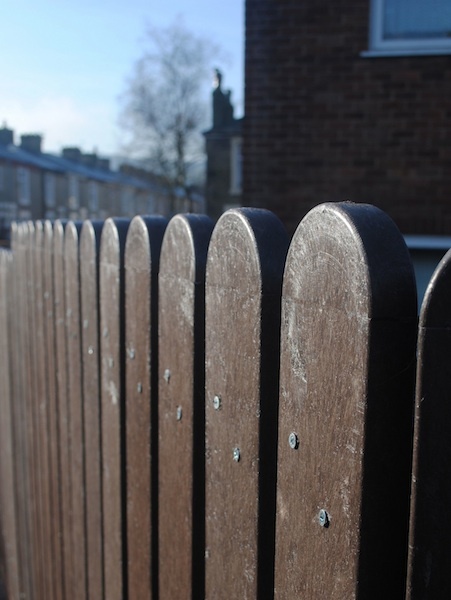 The highest UV protection you can get against fading colour is 8 and Kedel's plastic wood is 7-8. 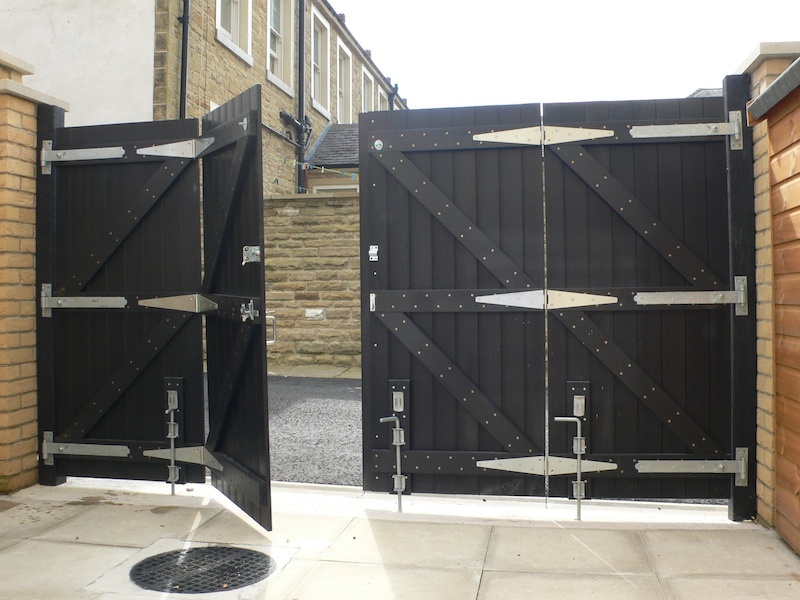 We also make gates in Recycled Mixed Plastic derived from most of what families throw away every day into their recycling bin - plastic milk bottle cartons, plastic bags, buckets, paint trays etc. In the UK we tend not to sort our plastic very well, so this makes getting bright colours more difficult, so generally our mixed plastic will only be found in black or nut brown colours. We often combine both types of plastic in our products. 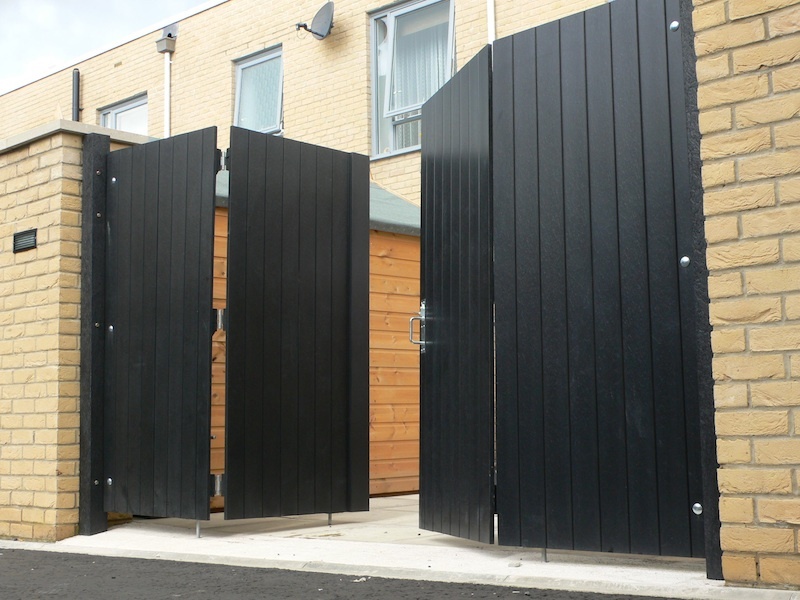 The black double gates above are made from 100 x 18mm recycled plastic wood tongue and groove planks, and these are attached to the walls at each side via 100 x 100mm recycled mixed plastic posts. 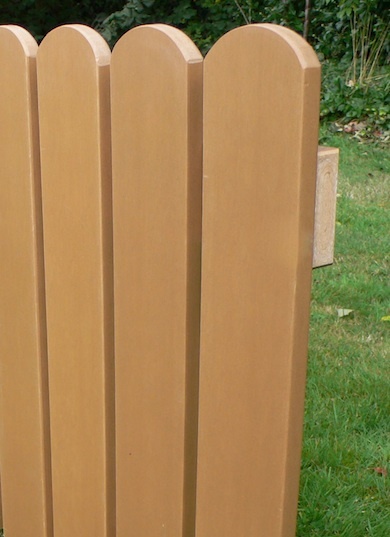 The overlap is a 120 x 20 Plastic wood profile. We also combine both in some of our school outdoor play and learn furniture and multicoloured picnic tables and benches which have plastic wood tops which we can make in those very bright colours often preferred by school children. 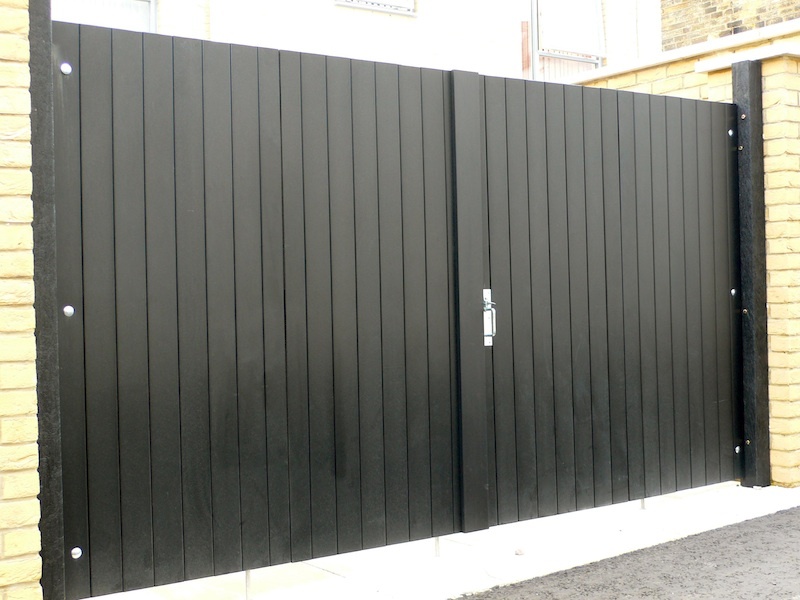 Our fencing and gates in both types of recycled plastic can be all shapes and sizes including round top pales, pointed top and square top. You will almost certainly never need to pay them much attention. Once installed they are good for all times.